The FIA has named Dr Ian Roberts as the new F1 doctor as a replacement for Dr Gary Hartstein. Roberts’ official title is FIA Formula One Medical Rescue Coordinator, and he will report to the FIA’s permanent F1 Medical Delegate Jean-Charles Piette. Roberts’ role will be to respond to on-track incidents via the medical car and supervise the local medical team, with Piette overseeing matters from race control. Roberts has previously worked as the chief medical officer at Silverstone, which has led him to be the chief medical officer at the British Grand Prix for many years. 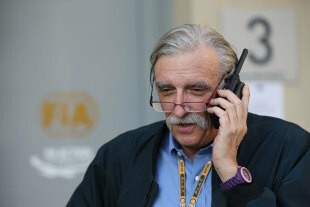 Hartstein’s contract was not renewed at the end of the 2012 season, with Hartstein launching a stinging attack on the FIA via Twitter as he questioned the reasons for being replaced. 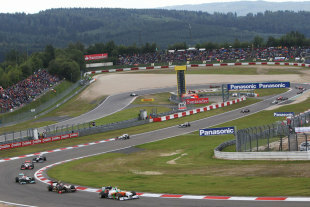 Bernie Ecclestone hopes to hold this year’s German Grand Prix at the Nurburgring as the calendar looks set to stay at 19 races. Ecclestone also told the news agency that he expected the calendar to remain at 19 races despite the amendment last month, with talks over a return for the Turkish Grand Prix having stalled over money. Two more F1 teams’ cars have passed the mandatory FIA crash tests. According to Germany’s Auto Motor und Sport, one of them is Mercedes’ AMGW04, to be raced next year by Lewis Hamilton and Nico Rosberg. Reports also said that the silver single seater will have a new and smaller gearbox, totally different sidepods for the Coanda exhaust, and rear suspension designed to be flexible to geometry changes if required to suit Pirelli’s new tyres. Spain’s El Mundo Deportivo said that Ferrari’s 2012 successor has also passed the FIA’s monocoque crash tests. Earlier this month, Sauber became the first team to announce that its new car, the C32, had passed the FIA crash tests and was therefore clear to begin winter testing in February. Sebastian Vettel and his Red Bull team collected their FIA world championship trophies in Turkey on Friday night – with boss Christian Horner adamant his outfit was better this year than it has ever been. Vettel was presented with the F1 world drivers’ championship trophy, and Horner the constructors’ award, by FIA president Jean Todt at the organisation’s prize gala in Istanbul. Reflecting on the campaign, Vettel and Horner did not hide from the fact that the season has been incredibly challenging as rivals Ferrari took the title fight all the way to the final round of the season in Brazil. 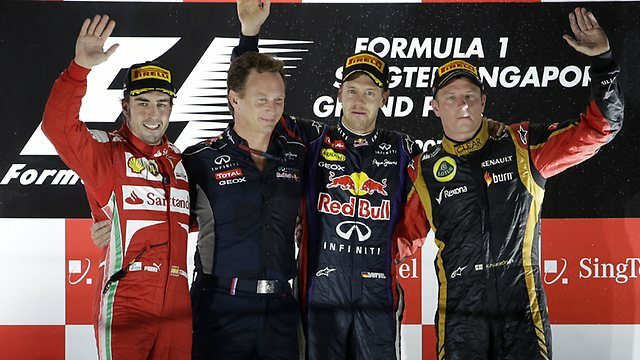 Horner said: “This is a phenomenal achievement for our team. The hard work and the dedication this year have been exemplary – but I think hard work and dedication have been common up and down the pit lane in this fantastic Formula 1 season. “It didn’t seem possible we could raise our game after last year but I think we have. Vettel also praised the efforts of his team – which fought back from a major points deficit in the middle of the season to secure the drivers’ title by just three points. “Winning the title with Red Bull Racing three times in a row makes us all feel very proud,” said the German. Indian Grand Prix organisers were meanwhile presented with Bernie Ecclestone’s Formula 1 Promotional Trophy for the best race, while Sky Sports were awarded the accolade for outstanding television broadcast coverage.